Do you know anything about Biblica Direct, or is it new to you? I've been aware of them a few years, but just recently explored their website and learned a lot more about them. I'd like to tell you about the things that excite me the most about Biblica Direct. For one thing, I've discovered they publish colourful magazine like books for kids that tell Bible stories and basic Biblical concepts with modern, eye-catching artwork and graphics. There are also puzzled and activities for the kids to do which will reinforce the lesson. You may order them if you wish, but they are offered as free PDF downloads on their site. 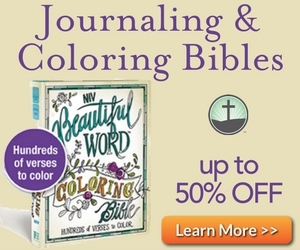 Bible Adventures for Kids' Bible study. Just think how you could use those with your own children, or if you teach kids in a Sunday School, or church club, or camp setting. Naturally, one would expect them to sell Bibles. And they do! They were founded in 1809 as the New York Bible Society. They merged with other organizations and took different names like the International Bible Society, then became Biblica in July 2009. All this time they've been growing in many parts of the world, selling and translating the Bible into more and more languages. Biblica has sold over 650 million pieces of Scripture, or the whole Bible over it's 200 year history. Now they are located in Colorado Springs, and work in 55 local places in 7 regions of the world. However, if we count their partnerships in other parts of the world they are in 71 locations! They operate 29 Christian bookstores in India, South America, Africa, and Asia. Still, they feel their main thrust is still to sell Bibles by every means possible, to translate the Scriptures into more languages, and to engage people in reading and studying the Bible. There are about 6,500 spoken languages in the world. About 4000 of them still do NOT have the Bible in their own language. Big job; right! Our internet age has opened up many digital ways to get the Bible out to the people. One thing about Biblica Direct is that they have not dragged their feet in taking up these new opportunties. Half of the world has Bibles; the other half (4 billion) do not. But 80% have cell phones. They can listen to the Bible being read in their own language! The Word can be handed out - or dropped from the sky - on solar-powered radios that are pretuned to Christian broadcasting, and many contain the whole Bible as mp3 files that can be heard at will. In a number of suitable languages. Once the Bible has been translated into 27 more languages, - if it were to be provided to the 4 billion people without with print Bibles, it would cost $3 billion; ah, but now with these digital options, the distribution can happen for just a small portion of such funds. The spiritual feeding of the millions is now quite do-able. Wouldn't you like to help with this? You can learn more about Biblica Direct from their website: BiblicaDirect.com.